In a footnote to the opening page of his three volume biography Ernest Jones tells us of the error in the registration of the date of Sigmund Freud’s birth – March where May should be. The biographer lets us share his enjoyment of this auspicious start to the marking of Freud’s life given the attention his subject would pay to the slips and other transient and all too easily dismissed formations of our mental lives – our dreams, jokes and forgettings. This attention, of course, yielded to Freud the insight into our thought processes (the greater part of which he thereby discovered to be unconscious) which radically and effectively re-orientated clinical work in the field of the mental. Given that this day is meant to be a celebration of Freud’s one hundred and fiftieth birthday and that many non-specialists as well as specialists have been invited to it, I was advised to keep my remarks simple and not to presume the sort of knowledge or interest that we usually have in our regular meetings on different aspects of Freud’s and Lacan’s work. I should explain that my arcane and esoteric title comes out of what we have been working on in the MSc Programme for the past twenty-five weeks, but I assure you that my paper will not be largely directed to an exploration of what Lacan came to only towards the end of his life and describes as ‘formulae of sexuation’. So, I propose to give only a brief explanation of why I chose this title and then, if time permits, to fill out more fully the movement from Freud’s mythology to Lacan’s formulae. On September 2nd 1901 when Sigmund Freud was forty-five years old he at last found himself in Rome, something which had the highest emotional significance for him and one which he called ‘the high point of my life’? In a letter of October 1898 he had written to his friend Fliess, I am studying the topography of Rome, the yearning for which becomes ever more tormenting’, and four months later he spoke of a wish, which would mature, ‘if only I could get to Rome’. When he finally conquered his resistance of going to the Eternal City and realised his dream he tells us, ‘Not only did I bribe the Trevi Fountain as everyone does. I also – and invented this myself- dipped my hand in the Bocca delta Verita at Santa Maria Cosmedin and vowed to return’. Newton, Marx and Freud are the three emblematic figures commonly credited with shaping the psycho-cultural world of advanced industrial modernity, our sense of where we are in relation to the cosmos, as it were; Newton in relation to the outer (physical) world, Marx in relation to the social (and economic) world, and Freud in relation to the inner (psychic) world. Nevertheless, not only Einstein, but quantum mechanical GUTS, and superstring and M-brane multidimensionality have given us a very different picture of the physical universe for the twenty-first century. In the post Soviet (and post Mao) era there is a widespread view (which I only partially share) that Marx’s historical and dialectical vision is redundant. With respect to Freud, it is held that the psychopharmacological developments of the twentieth century, and the emergence of neuroscience, have bypassed his approaches. Furthermore, the social effects of feminism and of gender blurring social lifestyles have combined to judge the foundations of his theories as both patriarchal and significantly limited in the scope of subjective gender positions which it can allow. The public mental health service in Ireland consists of mental health teams which are increasingly becoming multi-disciplinary. Child and adult services are separate. In many areas there are old age teams that provide a service to people over the age of sixty-five who develop mental illness. The vast majority of teams are general adult mental health teams but there are some specialist services in the area of learning disability, rehabilitation, liaison, forensic psychiatry and substance misuse. Each mental health team serves a geographic sector. Teams are community based in the sense that people are seen in their own communities in health centres or their homes. During the first half of the twentieth century, psychoanalysis revolutionized our understanding of mental life. It provided a remarkable set of new insights about unconscious mental processes. However at the beginning of the twenty-first century the influence of psychoanalysis is somewhat in decline. 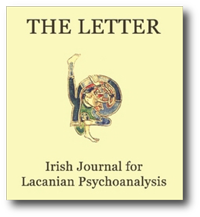 In the same paper in 1917 Freud anticipated that ‘in the not too distant future it will be realized that a scientifically based psychiatry is not possible without a sound knowledge of the deeper-lying unconscious processes in mental life.’ Yet there is a difficulty in accommodating the evidence- based, scientific, biological discipline of psychiatry with the insights of psychoanalysis. The psychoanalytic approach to psychopathology assumes that all symptoms are meaningful and are related to the life history as subjectively experienced. Freud’s study on Schreber represents his attempt to form a theory on psychosis psychoanalytically on the basis of the patient’s own report of a delusional system. For Freud, psychosis represents the withdrawal of libidinal cathexes to the outside world and their redirection inwards to the ego. Schreber’s delusional system worked for him to the extent that it made sense of his world. As Freud commented in his work on Schreber, ‘What we take to be the pathological production, the delusional formation, is in reality the attempt at recovery, the reconstruction‘. THE LETTER 38 (Autumn 2006) pages 53-56. The child was described by his parents as a cheerful, straightforward child who was an amiable and active-minded young fellow. He was able to carry out his childhood researches in a state of happy naïveté, keeping nothing back. However all this was to change when conflicts arose out of those researches. It was with the outbreak of his illness and during the analysis that discrepancies began to make their appearance between what he said and what he thought; and this was partly because unconscious material, which he urns unable to master all at once, was forcing itself upon him, and partly because the content of his thoughts provoked reservations on account of his relation to his parents. THE LETTER 38 (Autumn 2006) pages 57-63. For my doctoral thesis with the School of Psychotherapy I am examining the writings and clinical backdrop and validity to Freud’s understanding of the symptom, and will be, in that context, showing how his theory of the Symptom is a text from the unconscious, a text whose expression is the Symptom but behind which, if unravelled, like a knot of coagulated affect, arising from trauma, and, confected from the social cultural deposits, is an agreement between the Ego and the Id in a context, brought about through Repression. In today’s presentation I will discuss how Freud, and Psychoanalysis, understood in a Freudian context, understands the symptom as it may present to the clinician in the mental health services and that to ignore the Freudian understanding is to be palliative, comparative or temporary in treatment. It may therefore avoid the relationship between Subject and symptom and symptom and the Other with whose engagement the symptom presents. In talking of symptoms we can locate our naming within the neuroses, psychoses, and their clinical manifestations including phobias, depression, anxiety and many symptoms, which can be somatically referenced where upon the body the text is written. Good afternoon. I am delighted to be here to present this short paper and especially so in St. Vincent’s Hospital, which has its own significant resonance for me being a hospital where my father worked at one stage in his life (the old one in St. Stephen’s Green) and later where he died. I cannot claim responsibility for the title of my paper; it comes from the graffiti on the wall of the building where I work and I will return to it anon. I trained here in the School of Psychotherapy, starting the course sixteen years ago, and I am currently back in training in the same school doing the group analytic course feeling the need for some learning about groups and organizations. I originally trained as a social worker in the days when social-work training had a psychodynamic component. My job in the then Eastern Health Board was in the Fostering Resource Group where our work entailed the support of foster parents and young people in care. I learnt quickly that taking children into care from what was perceived to be a neglectful or abusive situation and placing them in what was considered to be a successful family did not always provide the happy intended outcome. When I was twelve or thirteen I became interested in Freud when a friend came across the Penguin paperback edition of The Psychopathology of Everyday Life. The discovery that the omissions, lapses and slips that are part of everyday life are actually evidence of an everyday psychopathology was astonishing to me. The fact that my friend and I were quite ignorant of life did not get in the way of our enjoyment of the story of the various slips of the tongue and bungled actions which betrayed the obscure motives of their subjects. Indeed, I suspect that it was the discovery that there was a whole other side to life, right under my nose as it were, that made the book so fascinating. Today we are marking the one hundred and fiftieth anniversary of the birth of Sigmund Freud. Why? Because he founded a new clinical practice, named psychoanalysis. His radical step, which he himself described, retrospectively, as arising from “an insight such as… falls to one’s lot but once in a lifetime”, involved taking up a new clinical position in the treatment of his patients.1 So radical was his step that one has to ask how a young medical doctor in the 1880’s and 1890’s found himself able to make it. What distinctions did Freud have to make to realise an innovative clinical position which could respond to his fundamental redefinition of hysteria? Central to his founding of a new clinical practice was his recognition of the phenomena of transference. In my paper I would like to present to you some details and some remarks on what I gather to be a key moment in his taking this step, namely his case history, Fragment of an analysis of a case of hysteria, otherwise known as the ‘Dora’ case.